The treatments for hearing loss depend on what's causing it. Sometimes it gets better on its own or can be treated with medicine or a simple procedure. Some cases of sudden hearing loss may be treated using steroids. Other types of hearing loss – such as gradual hearing loss that can happen as you get older – may be permanent. Hearing aids are small electronic devices worn in your ear that make sounds louder and clearer, although they won't give you back your full hearing. Speak to your GP if you think you need a hearing aid. They can refer you to a specialist who can advise you whether a hearing aid is suitable for you and which types may be best. Modern hearing aids are available on the NHS, but these are mainly the behind the ear type. You can choose to pay privately for types not provided on the NHS. Read more about hearing aids, including what the main types look like and how to get them on the NHS or privately. 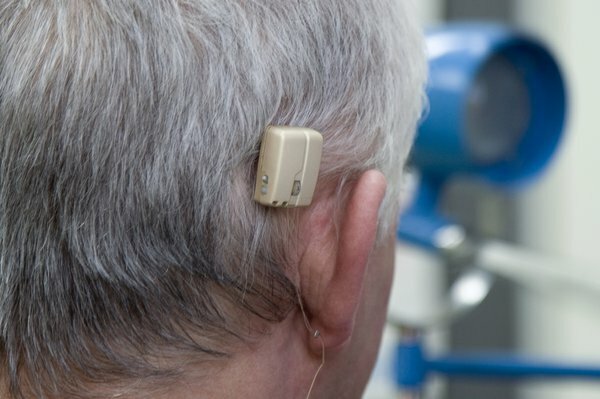 For some people, hearing aids don't help and instead they need to have a special device fitted inside or to their skull during an operation. These are known as hearing implants. Common types of implant include bone anchored hearing aids, cochlear implants, auditory brainstem implants and middle ear implants. A bone anchored hearing aid (BAHA) may be an option if you have hearing loss caused by sound being unable to reach your inner ear. This type of hearing aid is attached to your skull during a minor operation. It picks up sound and sends it to the inner ear by vibrating the bones near your ear. It can be clipped on and off – for example, it's removed at night and when you swim or take a shower. Some newer types are held onto the head with magnets instead of a connector through the skin. Action on Hearing Loss has a leaflet about BAHAs and similar hearing aids (PDF, 360kb). They work by turning sound into electrical signals and sending them to part of the inner ear called the cochlea. From here, the signals travel to the brain and are heard as sound. Before having a cochlear implant, you'll have an assessment to find out if it will help. The implant will only work if the nerve that sends sound to the brain (auditory nerve) is working properly. 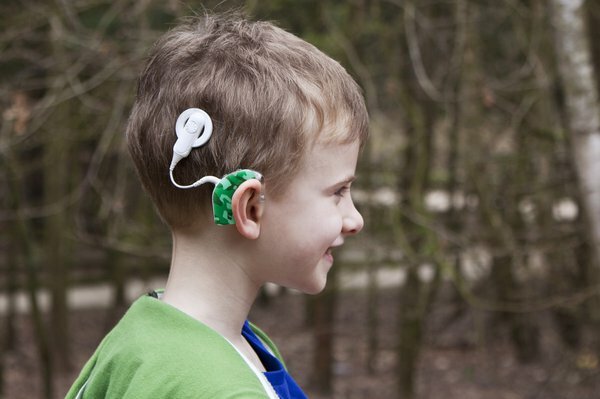 Action on Hearing Loss has more information about cochlear implants. An auditory brainstem implant (ABI) may be an option if you have severe, permanent hearing loss and a problem with your auditory nerve. 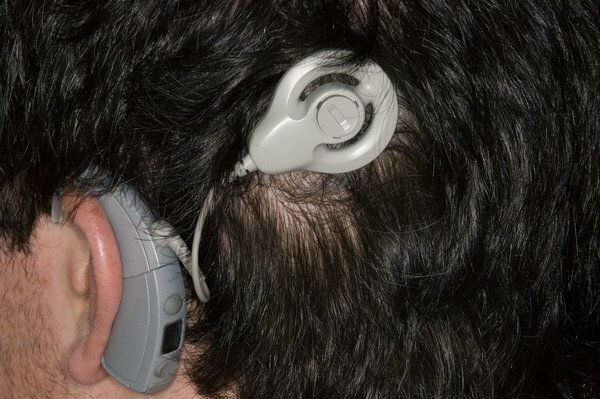 An ABI works in a similar way to a cochlear implant, but the electrical sound signals are sent directly to the brain along wires, instead of the cochlea. An ABI won't usually fully restore your hearing, but it can usually improve it to some degree. Hearing Link has more information about auditory brainstem implants. A middle ear implant (MEI) may be an option if you can't use a regular hearing aid – for example, because you're allergic to the materials they're made from or they don't fit in your ear correctly. Vibrating the hearing bones means that sound can travel into your inner ear and brain. This won't fully restore your hearing, but it can help make sounds louder and clearer. Hearing Link has more information about middle ear implants. You should be offered a follow-up appointment 6 to 12 weeks after your hearing aids are fitted for the first time. There are many sorts of listening devices, other than hearing aids, to help boost your hearing in everyday situations in the home and out and about. If you've been deaf from birth or you develop severe hearing loss later in life, it can affect your ability to communicate with other people. But you can learn different methods of communicating that can be used instead of, or as well as, spoken English.